According to Wikipedia, “Influencer marketing (also influence marketing) is a form of marketing in which focus is placed on specific key individuals (or types of individual) rather than the target market as a whole.” Over the last five years, it has grown from obscurity to a form of marketing where even the biggest brands understand its value. There have been numerous studies analyzing influencer marketing’s effects, and experts sharing their wisdom on the topic. Here are 50 interesting facts, quotes, and statistics related to influencer marketing. A 2015 survey by Tomoson emphasizes how influencer marketing can be highly lucrative for those brands who engage in it. The top 13% of businesses make $20 or more. 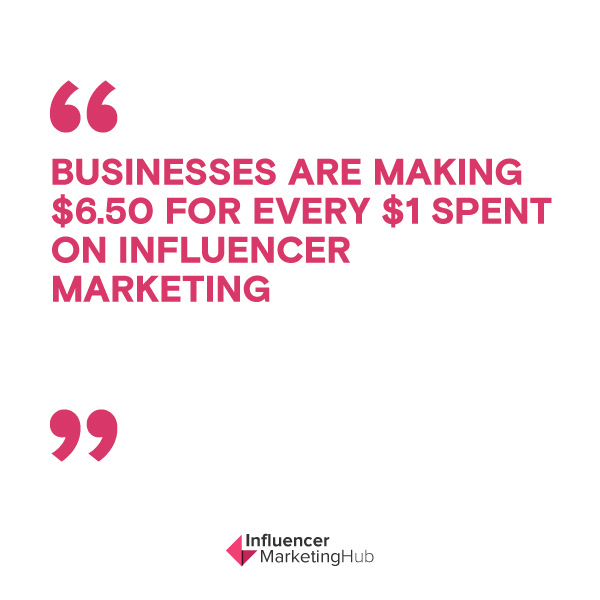 Most businesses get solid results from influencer marketing, with just the bottom 18% failing to generate any revenue. 59% of marketers intend to increase their influencer marketing budget in the next year. This statistic comes from the same Tomoson survey. Marketers clearly see how lucrative influencer marketing can be to a brand - when it's done correctly. The most successful, and influential, channel on YouTube is that of PewDiePie. MoneyNation estimates that in December 2016 he had a Net Worth of $90 million, predominantly earned from his YouTube channel. Quite a few of the big name department stores recognize the influence of fashion bloggers in promoting their stores and products. These include Bergdorf Goodman, Harrods and Bloomingdale’s. These partnerships allow the fashion stores to connect with consumers on a more intimate level than traditional celebrity endorsement. Tapinfluence and Altimeter joined forces to produce a study on the state of influencer marketing. Of the marketers they surveyed, 67.6% acknowledged difficulty in finding relevant influencers. The same Tapinfluence / Altimeter study interviewed influencers. When asked to provide reasons for their participation in this form of marketing, nearly 70% admitted that their main inspiration was to earn some money. 57.5% of them also claimed that they engaged as influencers to make an impact or effect change. 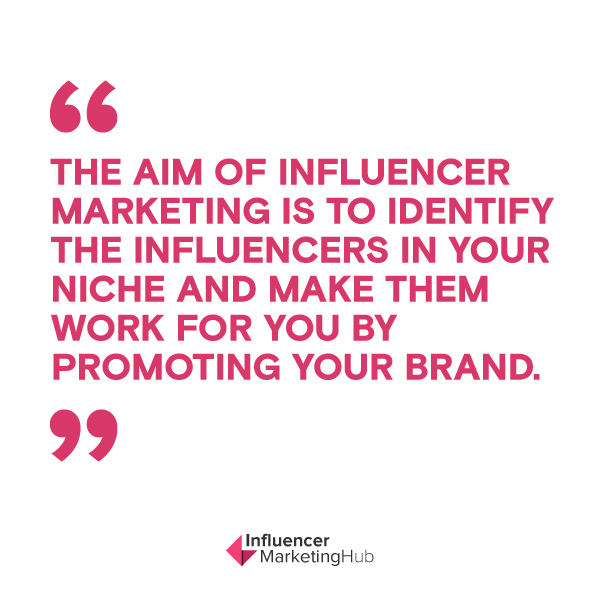 The aim of Influencer Marketing is to identify the influencers in your niche and make them work for you by promoting your brand. A firm’s emphasis needs to be on reaching to the people from whom they can get maximum conversions rather than targeting the market as a whole. Crowdtap interviewed more than 50 content creators, and it is clear that these influencers expect respect from brands who work with them. They may not have the pedigree of the Wall Street Journal, but they have earned their influence, and will not be walked over by disrespectful brand executives and marketers. This is from the same Crowdtap survey as above. Brands must remember that while influencers like to be able to earn revenue, they will not do so at the expense of their audience. A May 2015 study by Schlesinger Associates for Augure showed that content promotion was the main reason that marketing and communications professional engaged with influencers - ahead of product launch, content creation, event management, corporate communications, SEO, and crisis management. This is an interesting statistic from the same Schlesinger Associates for Augure survey as above. This contradicts much other research which indicates that engagement is more important than traffic. 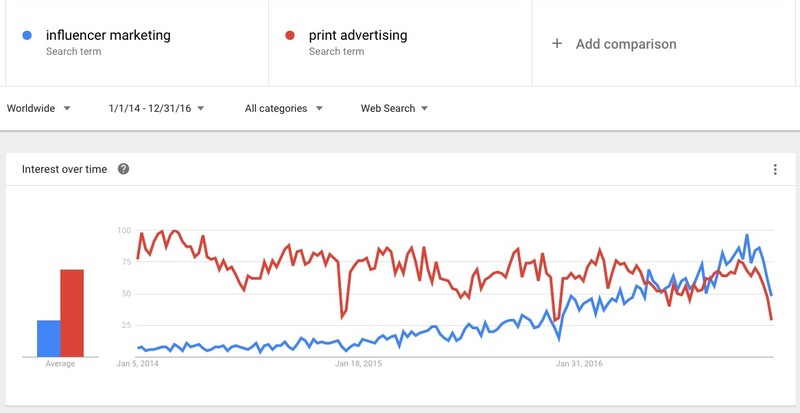 Google Trends shows a comparable increase in influencer marketing at the same time as print advertising has been falling. There are three types of influencers: Celebrity Influencers, Macro Influencers, and Micro Influencers. Influencer marketing does not focus on celebrity endorsement. 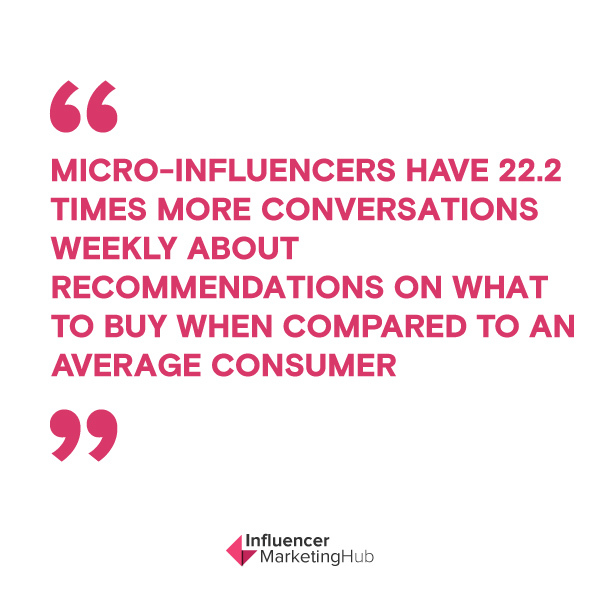 Micro influencers perform the bulk of successful influencer marketing (at least 90% of it). They are normal people who have built up a solid social media following. This somewhat surprising result from a Bloglovin’ survey on How Micro-Influencers Really Want to Work With Brands emphasizes Instagram’s visual appeal when it comes to getting your message across. The influencers preference for Instagram grows even greater when the influencer works in a highly visual niche such as fashion. In comparison, only 31% of entertainment/pop culture micro-influencers prefer Instagram - a less visual niche. 53% of micro-influencers have never paid to promote a post. This is another thought-provoking result from the Bloglovin’ survey. The majority of influencers have managed to achieve their influential status without paying for promotion. 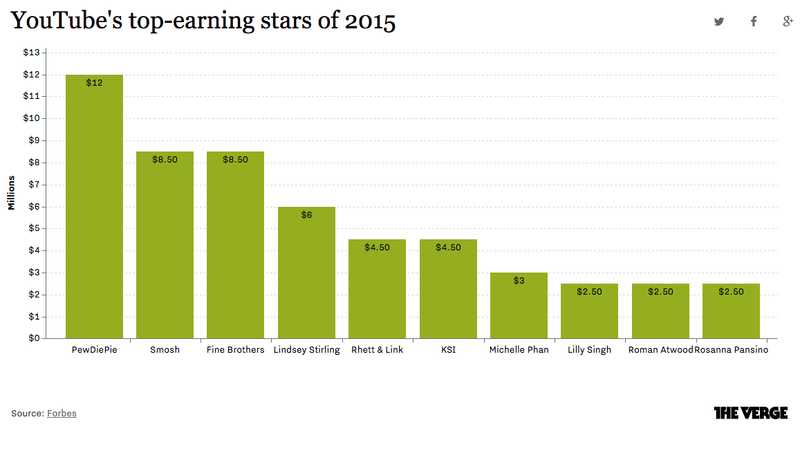 Less than 10% have paid for Instagram native ads, despite their love of this platform. Of course, brands can gain extra reach should they choose to pay for boosted/promoted posts. If you, as a brand, have done your homework, you should have selected the most suitable person as your influencer. Remember that they have built up their own brand. Therefore you need to ensure that your messages to their audience are authentic to that audience. You need to encourage your influencers to share your brand story in their voice. Twitter partnered with @Annalect to study people’s receptivity to influencers on Twitter. 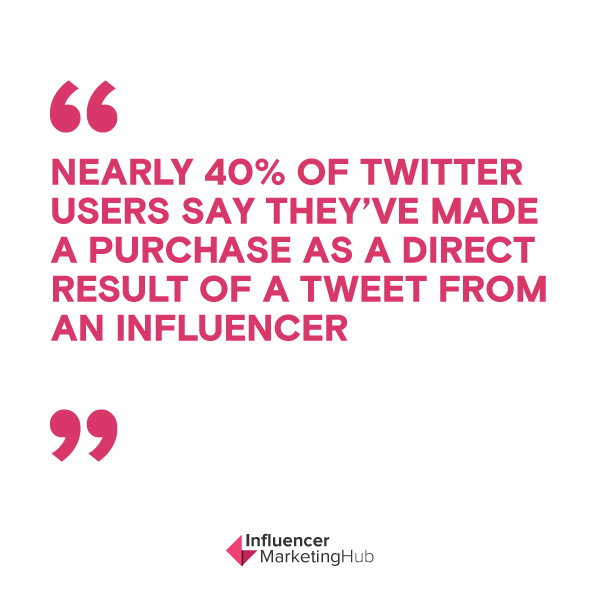 It is clear that Twitter influencers have built up a sufficiently high level of trust for people to be confident enough to spend money on their recommendations. This was another result from the Twitter survey. There is a clear distinction in the way that different age groups look at influence in social media. Older generations tend to follow traditional celebrities. Millennials and Generation Z are more likely to take an interest in social media sensations, such as PewDiePie. This statistic, provided by Google, again emphasizes the differences between the generations. Television has a far smaller impact on Generation Z that is had on previous generations. Hence they have far less of interest in traditional celebrities. The current generation has grown up with the internet, and the internet is where they find their own celebrities. This is another sobering statistic from Google that emphasizes the differences between the generations. If marketers do not recognize these marked differences, they do so at their peril. As influencer marketing has become more widespread, there have been quite a few studies on how to best determine an ROI from a campaign. The reality is that the ROI is very much determined by the brand’s intention. Traditional marketers and executives still struggle with this open-ended concept. Duane Forrester, VP of Organic Search Operations at Bruce Clay, emphasizes how difficult it is to come up with the definitive measure of influence. He does, however, recognize that although this metric may be difficult to measure it is still nonetheless exceedingly important. When looking for influencers, it is important to engage people who already have an affinity for your brands. This is a finding from the BrightLocal Local Consumer Review Survey 2014. It does emphasize the high level of influence influencers can have on their audience. It is, of course, another reason why influencers try to be authentic with their following - they don’t want to lose face. 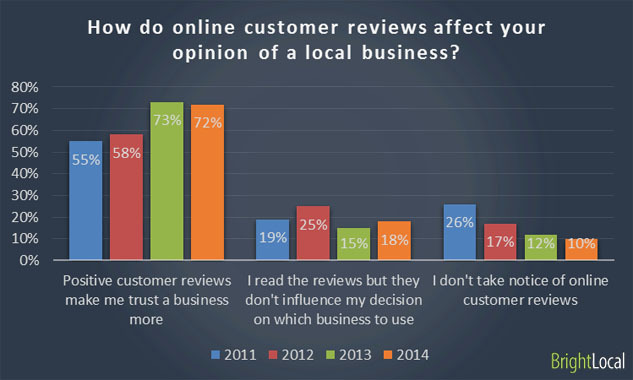 This is further a reason from the BrightLocal survey why firms need to work on ensuring that they receive positive online reviews for their products. The best influencer marketing campaigns are very organic and do not look like advertising. 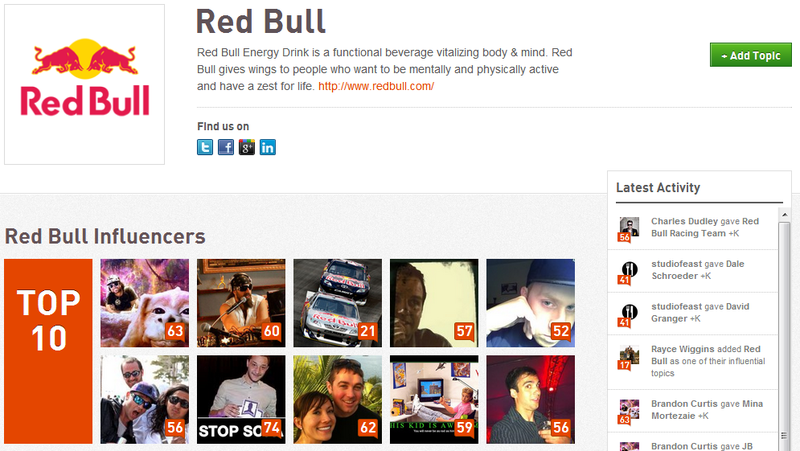 They seem to work best when brands engage influencers to tell a story on behalf of the brands in intuitive ways. This is a finding in the Reuters Institute Digital News Report 2016. It emphasizes how poorly traditional ads are likely to perform, particularly for the young, if online users do not even view them. 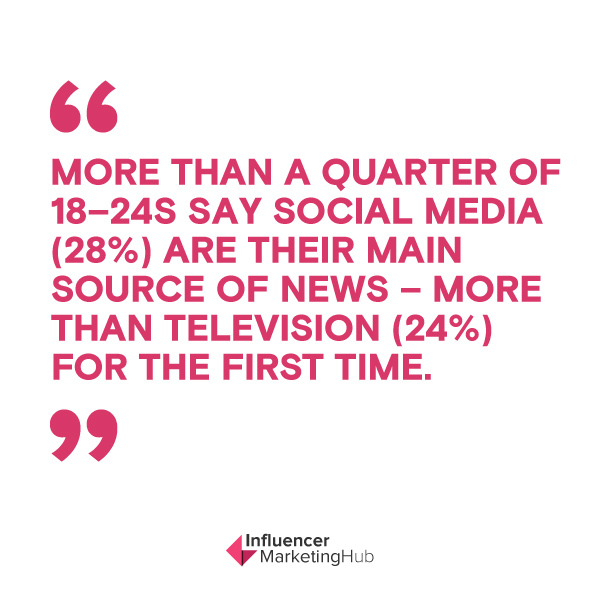 More than a quarter of 18–24s say social media (28%) are their main source of news – more than television (24%) for the first time. Another finding from the Reuters Institute Digital News Report that emphasizes how much more important social media is for the younger generations than television. 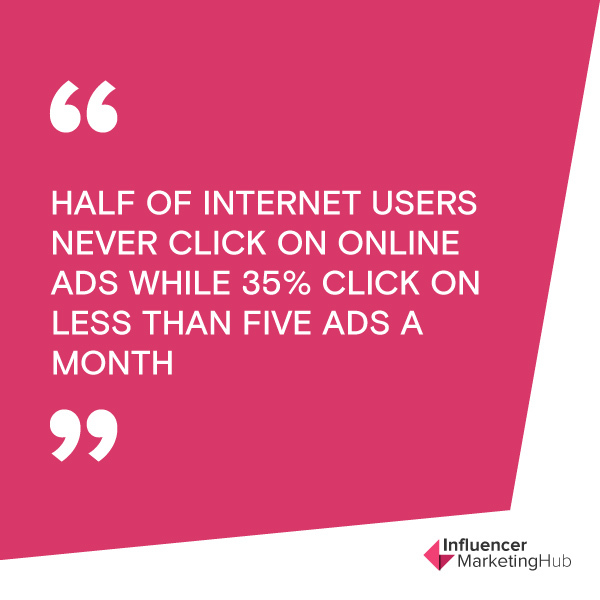 However, many marketers still spend a fortune on television advertising and are still reluctant to market online. Jay Baer has regular social media speaking engagements. This is one of his regular one-liners he likes to use regularly - and it is of course very true when it comes to influencer marketing. Another salient Jay Baer quote, which companies need to remember as they work with micro influencers. Influence can be fickle. It can change almost overnight. The list of influential people on social media is constantly changing. Today’s influencer may be tomorrow’s has-been. It is important that brands keep up-to-date with who the current influencers are. Even Pewdiepie will seem old one day. Some brands have established sufficient online clout that they can be considered influencers themselves. Red Bull, for instance, has established a very active YouTube presence and currently has 5.6 million subscribers to their main channel and they have numerous smaller specialist channels, too. 4,000 were surveyed by Grouphigh. One thing that came through is that although more agencies pitched bloggers than brands did, bloggers preferred to work directly with brands. This is a result of a poll taken by Infolinks. Clearly, people now suffer from “banner blindness” and this in one of the reasons why influencer marketing has grown as a more feasible alternative. Don Crowther reminds businesses of the real reason that firms receive customers. Even influencers won’t help your sales if you can’t provide what consumers truly want. According to a study by digital marketing agency ODM Group, 74% of consumers rely on social networks to guide their purchase decisions. Tim Bax of iCrossing issuing a warning to those influencers who risk alienating the brands who pay them. 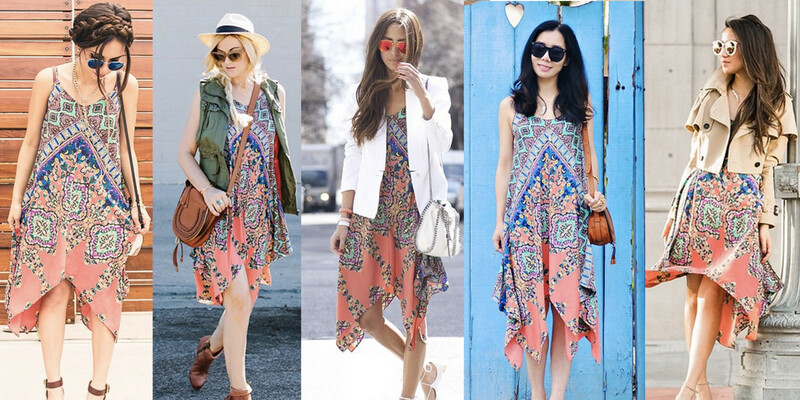 Retailer Lord & Taylor partnered with 50 influential fashionistas on Instagram and had each pose wearing the same dress. The dress sold out by the end of the weekend, and it gave the brand a chance to introduce their Design Lab Collection to potential customers, who followed these influencers. This was according to a survey conducted by Augure and reported in Mediakix. Collaborating with a digital influencer is now one of the most trusted and effective ways for brands to reach consumers. 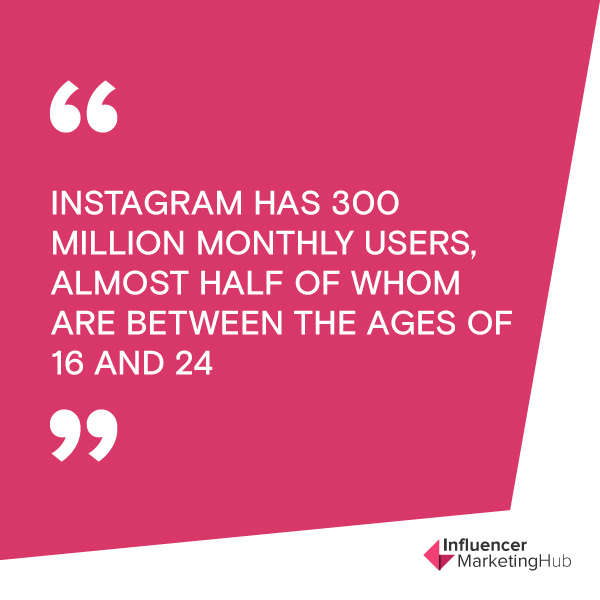 This provides a huge potential audience for brands that focus on youth and can benefit from Instagram’s visual strengths. This is the key finding from a survey carried out by Markerley. Those with less than 1,000 followers generally received likes on their posts 8% of the time. 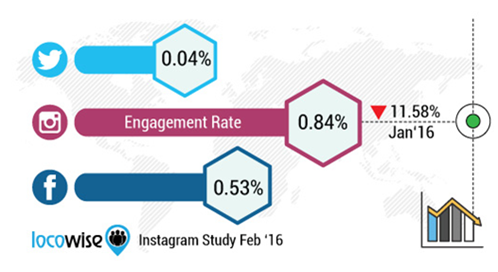 Users with 10 million+ followers only received likes 1.6% of the time. As a result of their research, Markerly believes that influencers in the 10k-100k follower range are the micro influencers that brands should focus their influencer marketing on - not celebrities with huge followings but low engagement. Brad Fay, co-founder, COO and lead researcher of the Keller Fay Group, commenting on research that his group carried out on the scope of micro-influencers. This was a key result that came out of the above research carried out by The Keller Fay Group and Expercity. 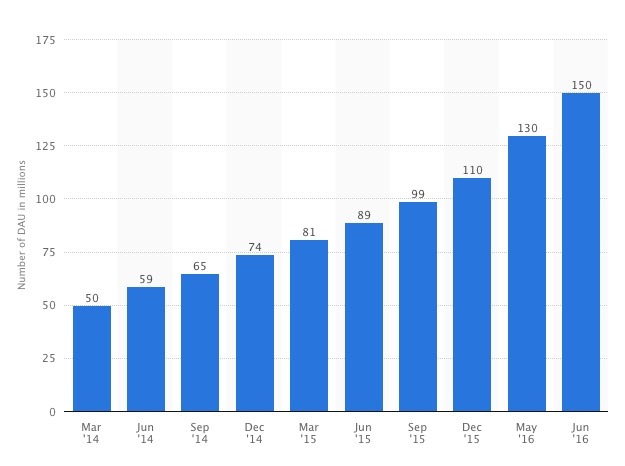 Snapchat’s brand adoption rate grew 50% from January to October last year, with 64% of brands now on the app, according to L2's fourth annual intelligence report on social platforms asreported on Marketing DIVE. L2 also noted that social media ad spending is growing faster than any other investment channel.